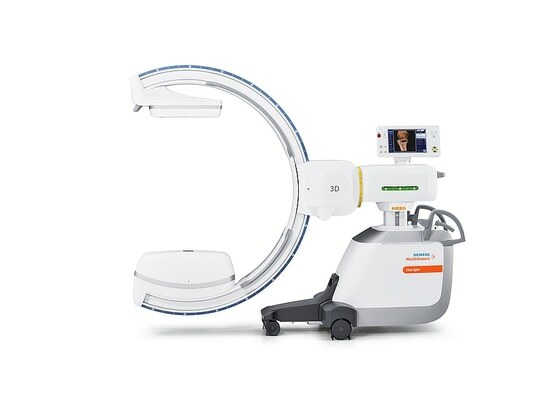 The mobile C-arm Cios Spin is an X-ray system that provides the surgeon with intraoperative 2D and 3D imaging. The ergonomic handles, easily accessible user interfaces and colour-coded movement axes support a smooth workflow. 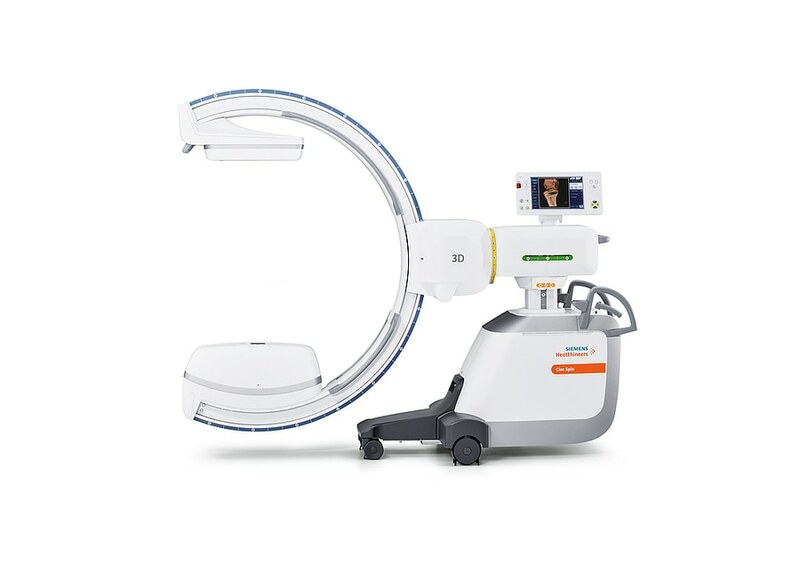 With its slim design, the system provides optimal access to the patient and gives the surgeon sufficient space to work. The integrated cables and antimicrobial surfaces contribute to good infection control. The slim design of the Cios Spin impressively incorporates functional, ergonomic and hygienic aspects alike.